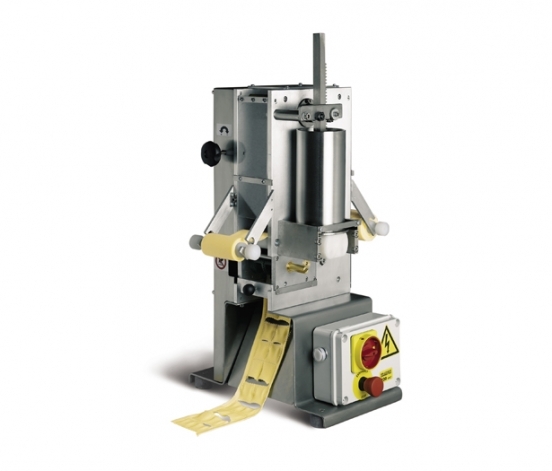 Fresh pasta making machines ideal for up to 80-100 seat capacity restaurants. The PM line is the top of our range. Its versatility, compact shape and ease of cleaning make it the ideal addition to any restaurant. 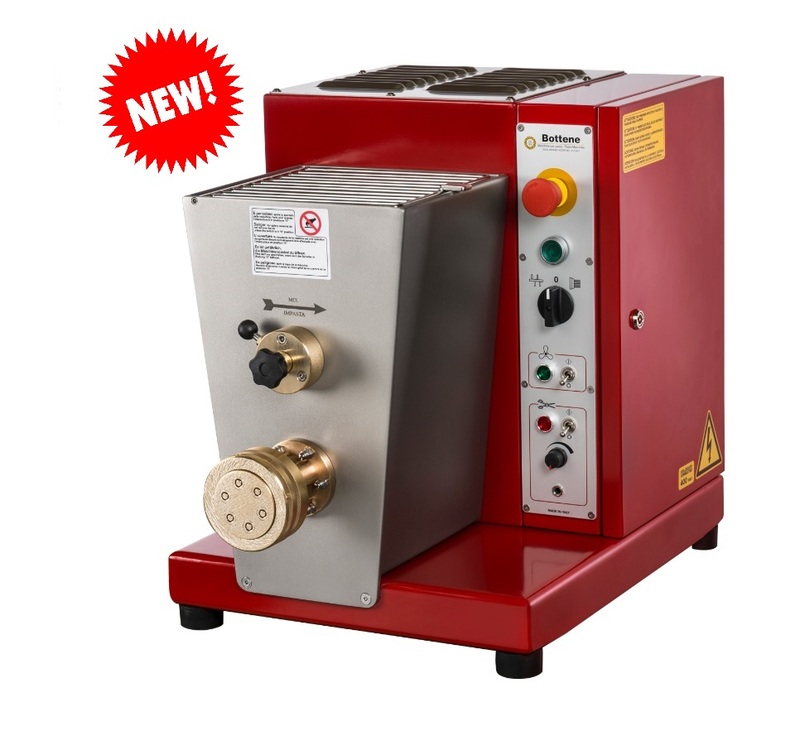 PM 80 is the ideal machine for restaurants seating up to 80-100. Hard wearing, innovative and simple to use it is indispensable for anyone wanting to make quality products from any sort of flour: durum wheat semolina, soft wheat, whole wheat, etc. A range of pasta shapes can be made either with or without eggs and in different colours: tomato or beetroot red, spinach green, cocoa brown according to the chef’s creativity. The dough tank has a 7 kg capacity. Its hourly extrusion capacity is 15-17 kg of pasta depending on pasta type. 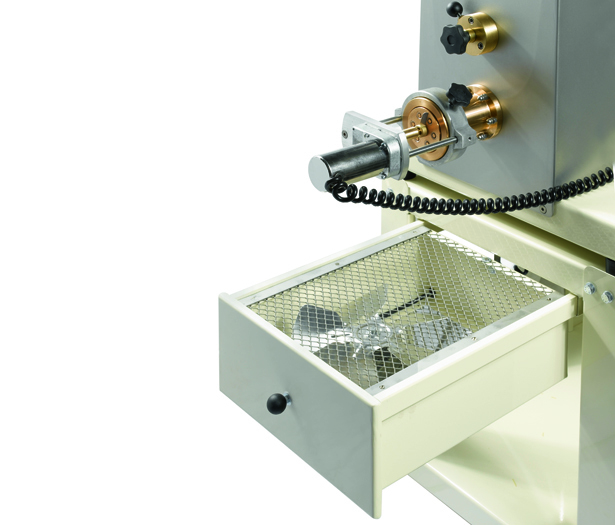 It is made with top quality components: tank, auger and mixer are in stainless steel. Auger and mixer are easy to remove for cleaning. The only maintenance required is normal cleaning operations advisable after each working session. With 4 standard plates, an automatic short pasta cutter, wheel carriage complete with fan, pasta holding basket, cleaning accessories, keys, liquid dosers and instruction manual. 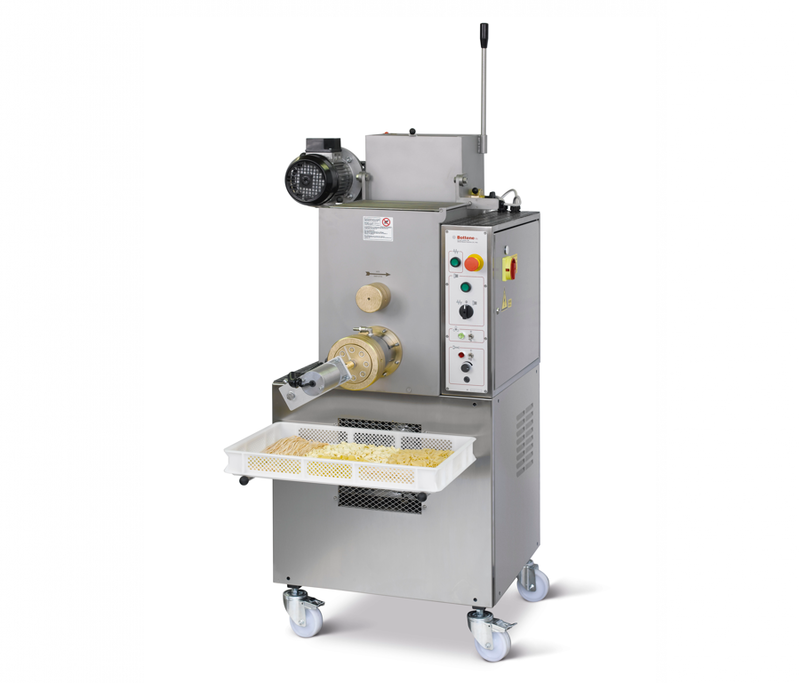 Fresh pasta making machines ideal for up to 50-70 seat capacity restaurants. 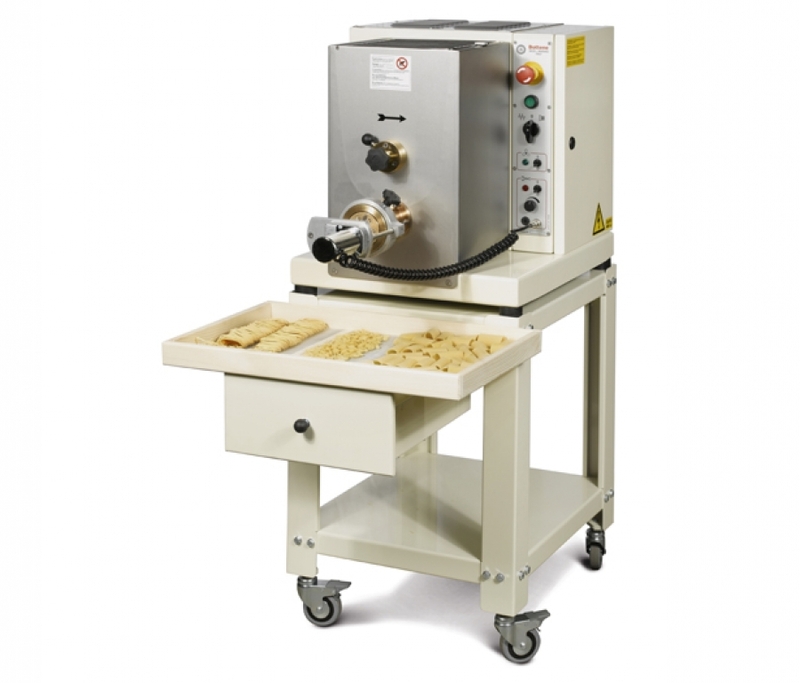 Fresh pasta making machines ideal for large restaurants, workshops and canteens. 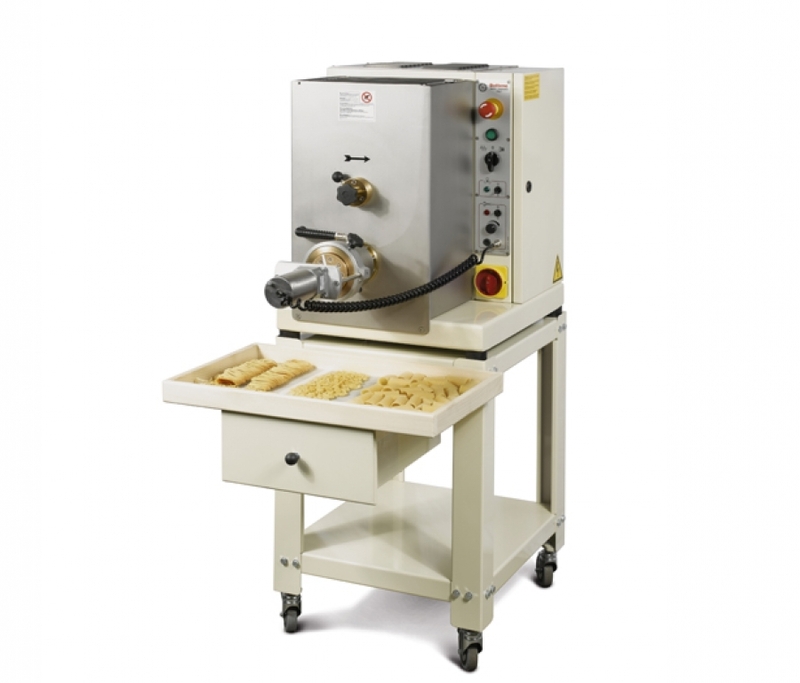 Fresh pasta making machines ideal for workshops and communities. 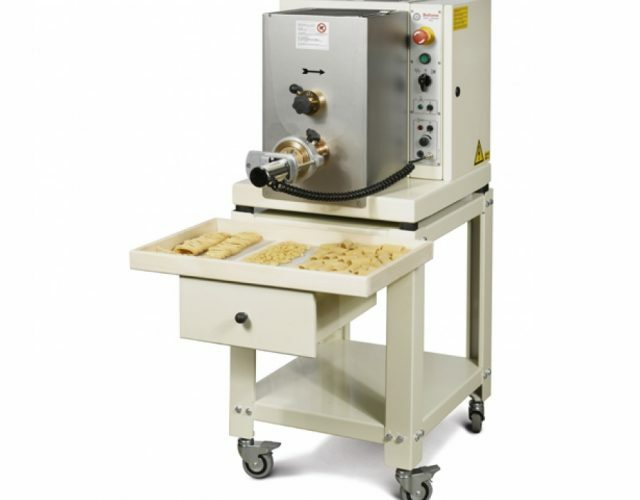 Diverse format ravioli making machine. Use this form for any questions you may have. We will help to clarify and satisfy your needs.